Martin A. Lee is the co-founder and director of Project CBD and the author of several books, including Smoke Signals: A Social History of Marijuana–Medical, Recreational and Scientific, which received the American Botanical Council’s James A. Duke Award for Excellence in Botanical Literature. Named by High Times as one of the 100 most influential people in cannabis, he is the 2016 winner of the Emerald Cup’s Lifetime Achievement Award. Lee is also co-founder of the media watch group FAIR (Fairness & Accuracy In Reporting) and the author of Acid Dreams: The Complete Social History of LSD–The CIA, the Sixties and Beyond. Zoe Sigman is the Program Director for Project CBD as well as the Science Editor for and occasional contributor to Broccoli Magazine. 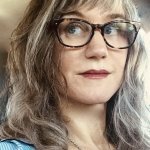 She has built out educational content focusing on scientific information about cannabis for organizations like Farma and Groundworks Industries, Phylos Bioscience, Oregon Health and Sciences University (OHSU), and iAnthus Capital Management, and regularly speaks about cannabis and cannabis science. Adrian Devitt-Lee, Project CBD’s chief science writer, is the winner of the Norbert Wiener Award in Mathematics from Tufts University, where he graduated with a MS in Math and a BA in Chemistry. He is the co-author of several articles in peer-reviewed publications, including the Journal of Physiology, F1000Research, SIAM Journal on Applied Mathematics, and Physica A. Devitt-Lee’s report on cannabinoid-pharmaceutical interactions was published in Sonoma Medicine. As a R&D intern with Medicinal Genomics, he identified mutations in the CBDA synthase gene in plant varieties. He also performed cell culture, time-lapse microscopy, flow cytometry and RNA extraction on cancer cells as an intern with the California Pacific Medical Center in San Francisco. 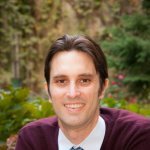 As a senior research associate with CannaCraft, Inc., Devitt-Lee researched pesticide and solvent safety and provided regulatory input to California government officials. He is currently pursuing a research Ph.D in chemistry at the University College in London. Viola Brugnatelli is founder and curator of the online science magazine Nature Going Smart. A neuroscientist who specializes in cannabinoid circuitry and G-protein coupled receptor signaling, Brugnatelli received an honors degree from the University of Dundee in Ireland. In addition to her academic and research training, she has extensive experience with therapeutic cannabis and terpenes from a clinical perspective. Brugnatelli currently is a lecturer on Medical Cannabis at the University of Padua in Italy. Stacey Kerr, M.D., is a family physician and birthing counselor who has provided family-centered childbirth experiences for her patients for more than fifteen years. A former columnist for the Santa Rosa Press Democrat, she writes about timely issues in medical practice and has been published extensively in medical journals, including JAMA, California Family Physician, and Sonoma Medicine. She is the editor of the TMCI comprehensive course on Clinical Cannabinoid Medicine and the author of Home Birth in the Hospital. Kerr is currently the medical director for Hawaiian Ethos, a medical cannabis dispensary. Jahan Marcu, Ph.D., has over 15 years of experience in academic research, industry, and government relations. Dr. Marcu is presently the Chief Operations Officer, Director of Experimental Pharmacology and Behavioral Research at International Research Center on Cannabis and Mental Health (IRCCMH), which he co-founded. Dr. Marcu is the former Chief Science Officer at Americans for Safe Access (ASA) and former Director of ASA’s Patient Focused Certification program, which is a health and safety oversight program that assesses regulatory compliance at cannabis operations. Dr. Marcu published the first direct measurements of THC and CBD synergy, for which he received the Billy Martin research award from the International Cannabinoid Research Society. His Ph.D. focused on solving the structure and function of the CB1 receptor as well as investigating the role of the endocannabinoid system in bone. He has also developed pharmacogenomics testing technology, used commercially and in research studies to predict drug-drug interactions with cannabis, as well as using the technology to guide dosing and administration forms for patients. Melinda Misuraca is a writer with a full spectrum of experience in the cannabis industry, from old-school pot farmer specializing in CBD-rich cultivars to consulting, product development, branding and marketing, as well as writing about cannabis history, science and politics. Her articles have appeared in High Times, Alternet, The Bohemian, and other publications. She believes cannabis offers its most profound gifts when grown and used with knowledge, respect, moderation and an open mind. She also bakes a mean galette and is an aspiring lady pool shark. 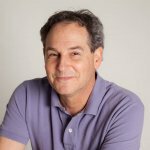 Gary Richter, MS, DVM, has been practicing veterinary medicine in the San Francisco Bay Area since 1998. 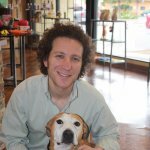 Dr. Richter is certified in veterinary acupuncture as well as veterinary chiropractic. The safe and effective use of medical cannabis in dogs and cats is central to both Dr. Richter’s medical practice and educational outreach. By integrating medical cannabis with other conventional and alternative therapies, Dr. Richter has improved the quality and extend the life of pets living with medical conditions ranging from arthritis to inflammatory bowel disease to cancer. His book, The Ultimate Pet Health Guide–Breakthrough Nutrition and Integrative Care for Dogs and Cats, published in 2017, includes a chapter on the use of cannabis for pets. Nishi Whiteley is the author of Chronic Relief: A Guide to Cannabis for the Terminally & Chronically Ill. She is also the Director for Americas Business Development at the International Cannabis and Cannabinoids Institute. Prior to her current work she was a business development consultant and medical cannabis educator. Whitely also served as the director of international marketing at the Texas Department of Agriculture and was a fertilizers industry trends analyst for the Elsevier Group. Through her writing and speaking, Whiteley seeks to bridge the gap between cannabis science and safe application.